An “eHR TEAM” is not just people who work at the same time in the same place. A real eHR TEAM is a group of very different individuals who share a commitment to working together to achieve common goals. Most likely they are not all equal in experience, talent or education, but they are equal in one vitally important way, their assurance to the good for the organization and the client. Any group of people — your family, your workplace, your community or your organization — gets the best results by working wih eHR TEAM. We believe that all of us want to be part of something bigger than we are. eHR TEAM relationships fulfill that basic need. They are an immensely powerful force, yet they always need to be nurtured. Be sure to show each eHR TEAM member exactly how far reaching his or her contribution can be. 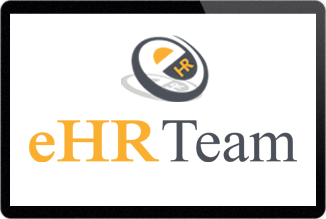 The eHR TEAM, each member, and the larger organization will enjoy greater enthusiasm and ultimately greater success. eHR TEAM is the planning, implementation and application of information technology for both networking and supporting at least two individual or collective people in their shared performing of activities to help the organization acquire, develop, and deploy intellectual capital. eHR TEAM is seen as offering the potential to improve services to clients (both employees and Employers), improve efficiency and cost effectiveness within the department, and allow each individual to become a strategic partner in achieving organizational goals. Traditionally HR goals have been broken into three categories: maintaining cost effectiveness, the enhancement of service for internal customers, and addressing the tactics of the business. With eHR TEAM there is a fourth goal added to the three categories and that is the improvement of global orientation of human resource management.